3D Immersive Collaboration Consulting » Blog Archive » Terf® Rendering Power Upgrade Announced! Terf® Rendering Power Upgrade Announced! 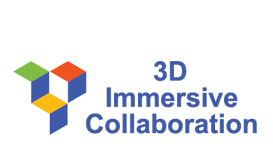 3D ICC has uncovered its plan to release a significant Immersive Terf® platform rendering upgrade. The company will Beta this release, dubbed T2, shortly. The T2 Beta is the first in a set of 3 planned for release between now and mid-summer 2015 that upgrade the rendering and then move mobile and Heads Up Display (HUD) on top of the upgrade. The engineering team at 3D ICC was joined by Nim language and compiler creator Andreas Rumpf in January 2015. Göran Krampe, 3D ICC’s Lead Architect on the effort says of Andreas “…he is just stunning. Andreas’ Nim is a masterpiece and the engine under Terf® is going to be light years ahead and smokin’ fast as a result. The work we are doing positions Terf® to undergo future upgrades more quickly, …that is part of our strategy.” Göran joined 3D ICC in 2014 as the Lead Architect and Developer for the company. “The real winners are our customers here. Terf® supports their meeting, training, teaching, events worldwide and more. The team is working miracles for customers. This release will deliver better performance from for lower end machines as well as higher end ones. It looks just beautiful and our servers are increasing rendering performance by close to 1000%,” remarks CEO, Julie LeMoine, show here to highlight the progression of avatar looks from today’s Terf® to T2.